HP invites you to improve the way you connect and communicate, work and play. 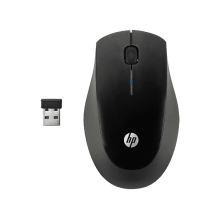 Built with strict HP standards and guidelines, this world-class HP Wireless Mouse X3500 effortlessly blends sleek, modern design with life-enhancing, advanced features. 70 years' experience. Strict quality control. One of the world's leading notebook manufacturers. HP delivers cutting-edge products built with some of the industry's toughest standards to enhance the way you connect & communicate. 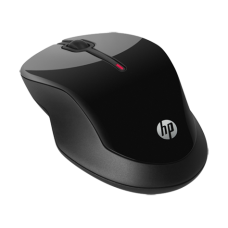 The sleek and modern HP Wireless Mouse X3500 adds an instant touch of trend-setting style to any work space. Glossy black and metallic gray shine with sophistication. Plus, its curvy silhouette gives it a seductive shape. 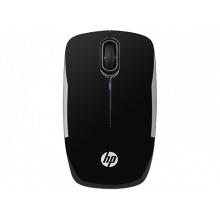 The HP X3500 features the latest technology you crave. 2.4GHz wireless connection sets you free. 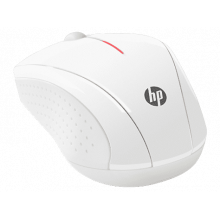 Battery life lasts 12 months.k1 Scroll wheel flies through the web & documents. Adjustable optical sensor works on most surfaces.